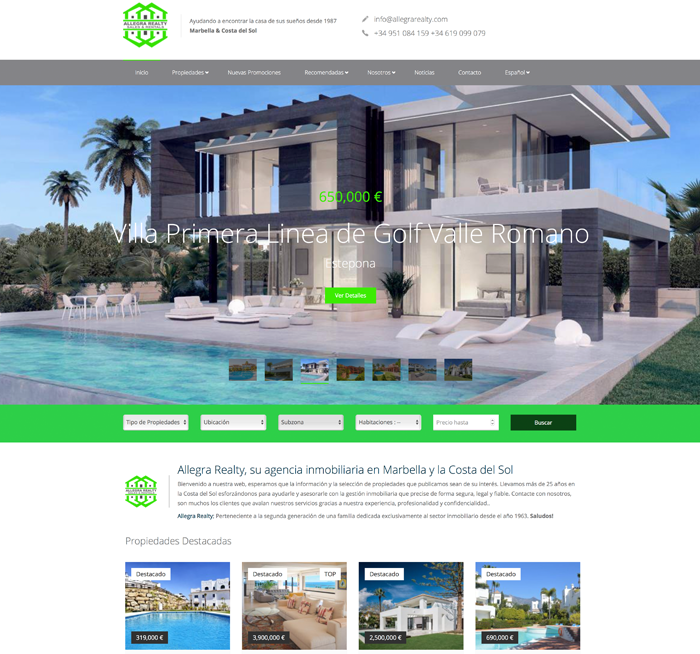 Allegra Realty Real Estate - Web Design | naran-ho | Design Marbella | Diseño Web + Fotografía. 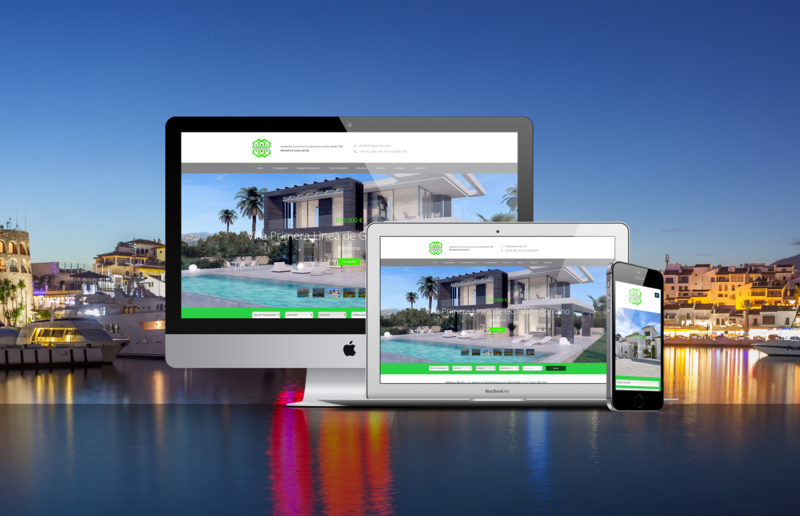 We have designed this website transmitting the sober and efficient image sought by Allegra Realty Real Estate Agency who have been working in the area of ​​Marbella and the Costa del Sol since 1987. “Belonging to the second generation of a family dedicated exclusively to the real estate sector since 1963. 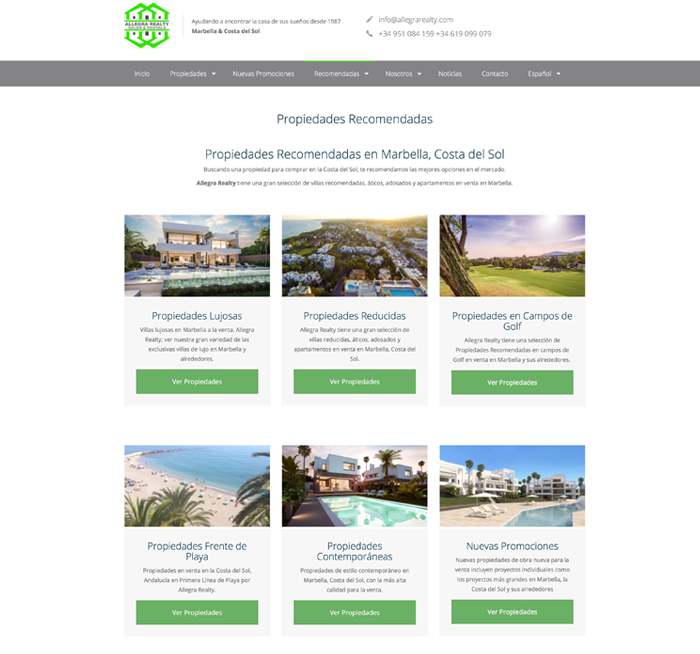 In addition to its innumerable sales and rentals, it has intervened in the development, construction and marketing of various developments in the municipalities of Marbella, Estepona and Manilva. As a result we have a Functional Web, with elegant design. 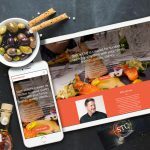 From NARAN-HO Design we invite you to visit the web and of course recommend the work of Allegra Realty.